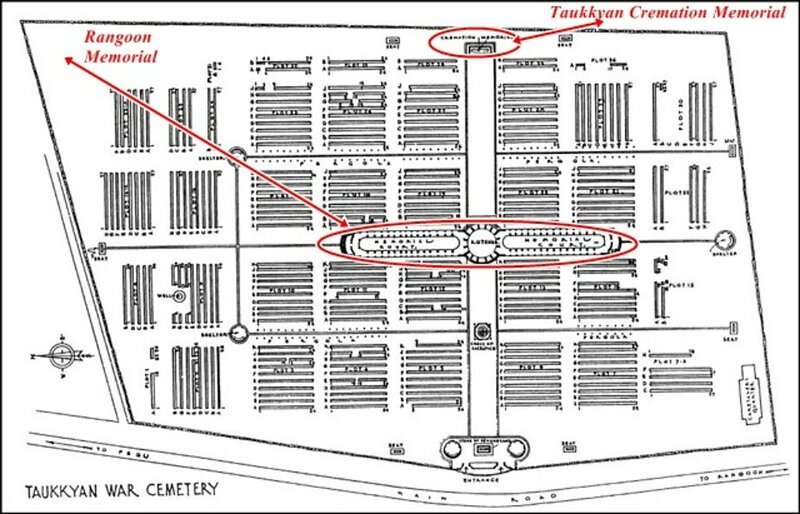 Taukkyan War Cemetery is open everyday from 07:00-17:00. Accompanied wheelchair access is possible through the main entrance and unaccompanied through the side entrance adjacent to the office. 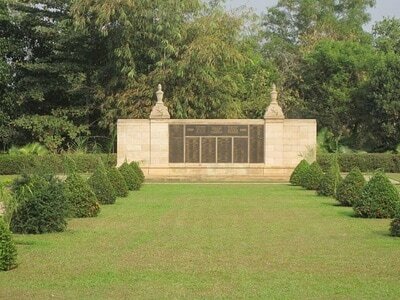 The TAUKKYAN MEMORIAL commemorates 46 servicemen of both wars who died and were buried elsewhere in Burma (now Myanmar) but whose graves could not be maintained. It should not be confused with the much larger Rangoon Memorial which commemorates 27,000 men with no known graves and is also located within Taukkyan War Cemetery. 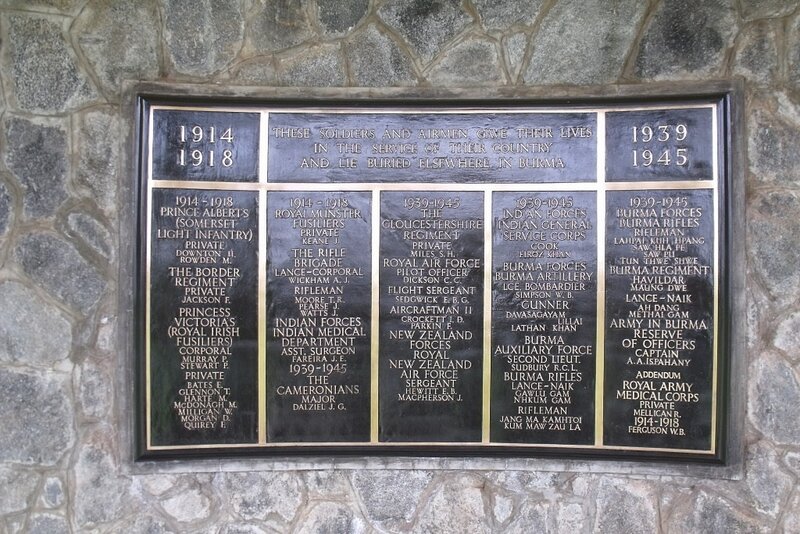 The 19 First World War casualties commemorated on this memorial served in garrisons and lie buried in the following cemeteries: Aungban Cemetery; Bassein Church of England Cemetery; Diamond Island Cof E Cemetery; Kungyangon Cemetery; Lwekaw Cemetery; Mangthone Military Grave; Prome Government Cemetery; Pyinmana Cemetery; Shwebo Cantonment Cemetery. 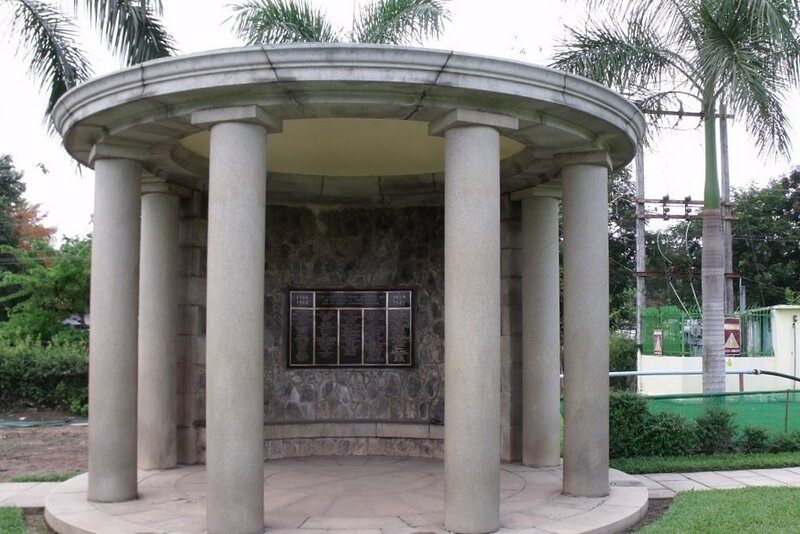 The TAUKKYAN CREMATION MEMORIAL, which commemorates more than 1,000 Second World War casualties who died in campaigns in Burma whose remains were cremated in accordance with their faith. 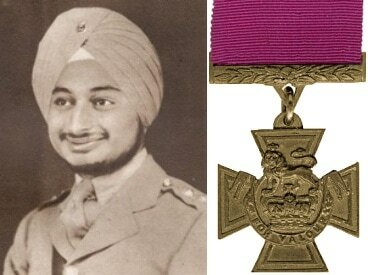 IEC/5504 Lieutenant Karamjeet Singh Judge, V. C.
4th Bn. 15th Punjab Regiment, died 18th March 1945, aged 22. Column 25. Son of Sarda Sunder Singh, Inspector-General of Police, of Kapurthala, India. 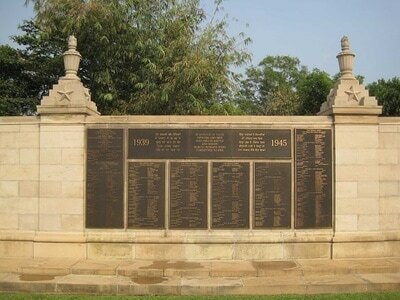 Citation: The following details are taken from the London Gazette of 3rd July, 1945:In Burma on 18th March, 1945, Lieut. Karamjeet Singh Judge commanded a platoon of a company of the 15th Punjab Regiment ordered to capture the Cotton Mill area at Myingyan against stiff enemy resistance from numerous bunkers. 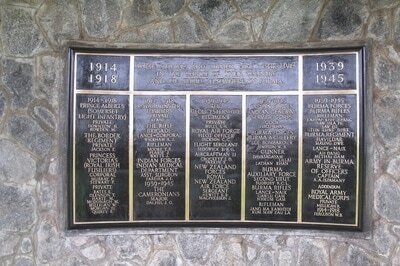 Time and again the infantry were held up by heavy fire from bunkers not visible to the tanks. On every such occasion Lieut. 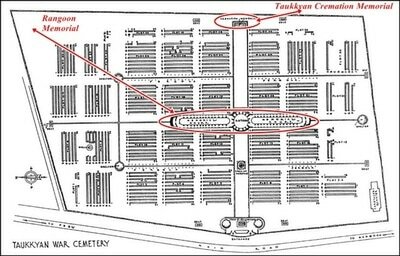 Karamjeet Singh Judge, with complete disregard for his own safety, went forward to re-call the tanks and direct them to these bunkers. In this way ten bunkers were eliminated, and this brilliant and courageous officer in every case led the infantry charges against the bunkers when the tanks had dealt with them. The Lieutenant was mortally wounded leading a section to clear the last three bunkers, but his men were able to storm the strong point and complete a long and arduous task. During the battle Lieut. Karamjeet Singh Judge showed cool and calculated bravery; he dominated the entire battlefield by his numerous successive acts of superb gallantry. In three previous and similar actions this young officer had proved himself an outstanding leader. In this, his last, action he gave a superb example of inspiring leadership and matchless courage.